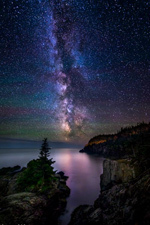 Down through the ages, the time when the Sun begins to move northward again has been regarded as a festival season. In many lands and civilizations, this season has been associated with the coming of a Sun-God to save the world ~ bringing light and fruitfulness to the earth, and bringing hope to humanity. This time, this work, is honored and recognized by many great spiritual traditions and is not uniquely Christian. Christ, the son of God, indeed did come to us in the dark of the year and initiated a new era when light was to be the distinguishing note. "I am the Light, I am the Way" heralded a new age of light ~ the Light of Knowledge is bringing an end to the darkness of ignorance. The Lighted Way illumines the path to the Divine and is the means to evolve Right Human Relations. When Christ proclaimed, as many of the worlds saviors and Sun-Gods had before, that He brought the Light of the World, it inaugurated a significant period in which humanity became universally more enlightened. The Christ's work some 2000 years ago was more potent than any previous bearer of the light, because humanity was further prepared for this to happen. Christ came in the sign of Pisces, the Fishes ~ the sign of the Divine Intermediary in the highest sense ~ "Follow me and I will make you fishers of men." For Christ belongs to a great lineage, coming forth in this sign of world saviors and revealers of Divinity who establish world relationships. The major impulse of the work of the Christ was to establish a new era of right human relations. "Love thine enemy as thy self" and "Do unto others as you would have them do unto you" ~ this message gave rise to the desire within humanity, realized or unrealized as yet, to create and practice right human relations. This season, and for the last 2000 years, Christmas has been recognized and maintained as a season of new beginnings, of better human contacts and happier relations among families and communities. Yet in recent times Christmas has become more materialistic. We need to remember that when the practice of life inspired religion is interpreted materialistically, it loses its sense of spiritual value. 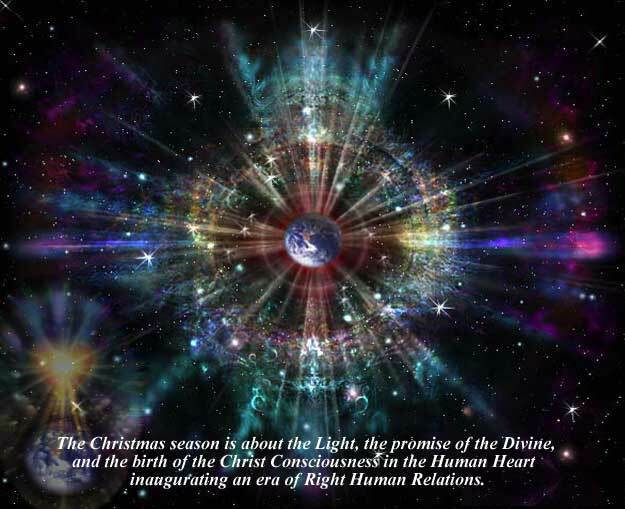 Spiritually the Christmas season is about the light, the promise of the Divine, and the birth of the Christ Consciousness in the human heart inaugurating an era of right human relations. This energy remains ever with us, "The Christ in us, the hope of glory." There is a new emphasis as we pass from the Age of Pisces to the Age of Aquarius, in which Christ is Himself the Water Carrier. It moves us beyond Bethlehem to Jerusalem, from the infant Christ to the risen Christ.